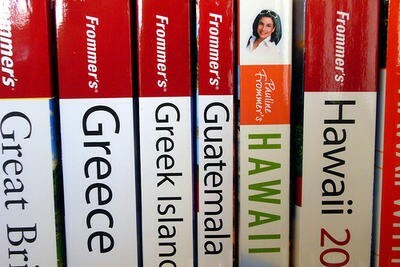 You’ve probably heard of Frommer’s, the publishing group that sells popular travel guides to nearly every destination in the world. On Monday, parent company John Wiley & Sons said that it will be selling a number of its assets and that it’s selling all of its travel assets, including the Frommers brand, to Google. The sale amount was not disclosed but John Wiley & Sons said profits will be used to support its professional/trade, scientific, ethical, medical, scholarly and global education businesses. So what does this mean for you, the end consumer? Our bet is that Google will take the Frommer’s assets and implement them tightly into its mapping applications, much like the company has done with Zagat reviews. Google acquired Zagat in September of last year. We’re imagining an update to Google Maps that would recommend places of interest in foreign cities. Imagine traveling to Berlin, for example, and being treated to the city’s most visited tourist destinations and guides on where to eat, sleep and more. HOBOKEN, N.J.–(BUSINESS WIRE)–On March 7, 2012, John Wiley & Sons, Inc. (NYSE: JWa, JWb), announced that it intends to explore opportunities to sell a number of its consumer print and digital publishing assets in its Professional/Trade business as they no longer align with the company’s long-term business strategy. Those assets include travel (including the well-known Frommer’s brand), culinary, general interest, nautical, pets, crafts, Webster’s New World, and CliffsNotes. Wiley’s core businesses include scientific, technical, medical, and scholarly (STMS) journals, encyclopedias, books, and online products and services; professional/trade books, subscription products, training materials, online applications, and Web sites; and educational materials for undergraduate and graduate students and lifelong learners. Wiley’s global headquarters are located in Hoboken, N.J., with operations in the U.S., Europe, Asia, Canada, and Australia. The company’s Web site can be accessed at www.wiley.com.